Barbara J. Davis is the latest feature on the Rise Above Campaign and the proud Founder and Executive Director of the Practical Living Institute and Project Destiny. 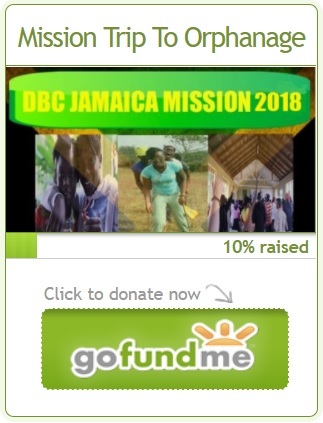 According to the mission statemen, the Practical Living Institute was formed in 1999 with four major programs and sub programs that provide educational, financial, humanitarian, mentorship, spiritual guidance, special projects, and training to the disenfranchised both in the United States and abroad. Barbara bravely journeyed to Egypt in 2009 to introduce Project Destiny which serves Sudanese Refugees and Egyptian women to create a new life spiritually and economically with prayer, meditation and special training. As a result of the program several successful businesses have emerged from the participants including but not limited to ornate hand made pillows, bags, and pens. The Practical Living Institute also provides the following programs: W.A.D.E.R. (Women Aspiring to Develop Eminent Resolve assists homeless women rejuvenate their lives through job training and spiritual renewal; W.I.A. (Women In Action) provides financial and spiritual support for growing women owned businesses abroad along with some partnerships with other programs; and the Godparent Program provides underprivaleged children in different countries with food, clothing, and promotes academic achievement through a created library of which they are obliged to use atleast once a month. Barbara's ambition and refusal to stand by and allow others to be disenfranchised while she knew she could do something has gained her accolades from several respected organizations and public acknowledgement. Her passion fueled dreams and programs have led her to 35 countries throughout Africa, Asia, Europe, South America and in the United States. She is humble in her work and regards it as her purpose ordained by God and when she ascends to God's glory she will not rise alone.